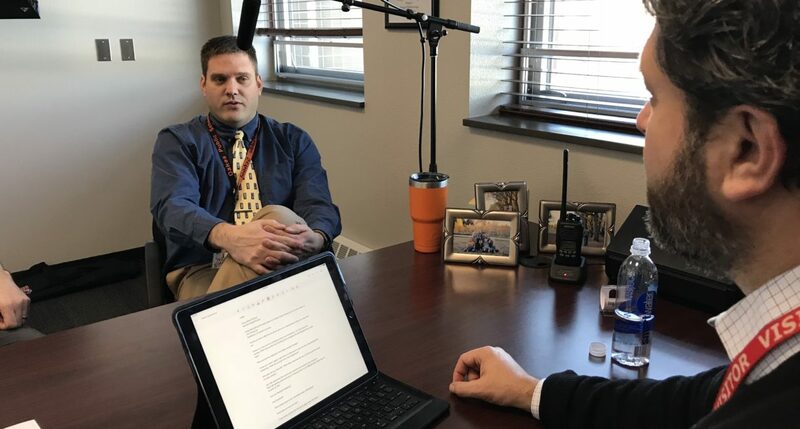 In January of 2017, Oakes Public School superintendent Kraig Steinhoff and principal Brandon Bata decided to travel to Legacy High School in Bismarck to see firsthand what flex mod scheduling looks like and to determine if it could work in Oakes. They thought they were wasting their time. After all, part of their school was built in 1923 and they didn’t have the staff size or modern amenities that Legacy has. Staff members joined, and as they gathered on the bus to head back to Oakes following the site visit, they took a vote. Should Oakes shift to a flex mod schedule? Overwhelmingly, 18-1, staff voted in favor of the move. The firm commitment came weeks later in February. Bata worked tirelessly through the summer to develop the complex scheduling using a software program and the school made the transition to flex mod in the fall of 2018–just six months after making the decision. The conversation in this podcast outlines how Oakes made switch so quickly, highlights positives and challenges from the change and serves as a blueprint for other smaller school districts looking to make the change to flex mod scheduling.